Experience the Stylish Sophistication of the Executive Hotel Cosmopolitan, Featuring SpaZen, Toronto's Fave Spa.This 4 star hotel has spacious suites with kitchenettes and living rooms for your comfort, intimate meeting rooms for your next unforgettable event, the full service SpaZen, and Wildfire Steakhouse & Wine Bar located right off the lobby. 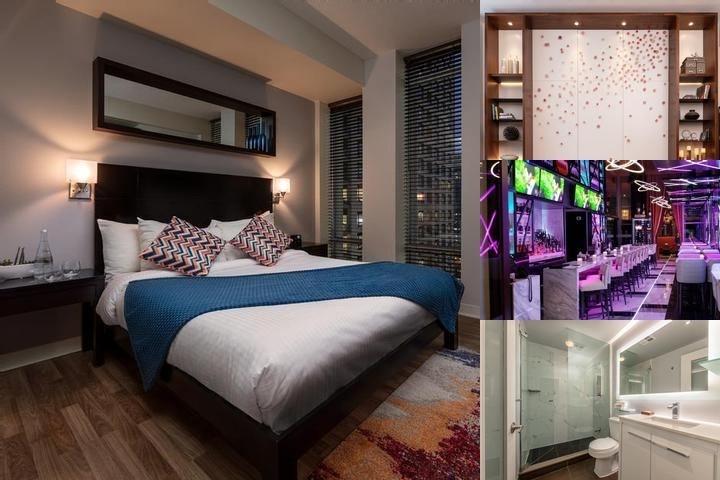 FILM & ENTERTAINMENT FRIENDLYLocated in the vast city of Toronto, the Executive Hotel Cosmopolitan is ideal for film crews looking to work in the heart of the downtown core. Our trendy boutique hotel offers you a quiet place to escape, while enhancing your melodic experience with treatments at SpaZen and delectable cuisine the Wildfire Steakhouse & Wine Bar. Our staff is very familiar with the film and entertainment industry, and understands the need for high quality service and privacy. We ask guests to leave 'green' card on bed should they like to opt out of having their sheets changes that day. In this case housekeeping will still make the bed, however not change sheets. Lounge/Bar Hours: 10am-10pm week days, 5pm-11pm Sat., 5pm-9pm Sun. 24 hour cancellation policy for individual reservation. Group polies vary depending on date and number of guests. Billy Bishop Airport - 3.4 km -$12-$15 taxi ride. Pearson International Airport - 26km - $60-$70 taxi ride. Available Breakfast Delivery Service- Monday to Friday only. $12.95 + tax & grats. Wifi is included in the HAF (Hotel Ammenity Fee) which is a 6% tax.